This post originally appeared at Twinning Babywise as part of Babywise Friendly Blog Netword Swap day. One of the most daunting tasks as a parent has to be discipling our children and raising them in the Lord. There is nothing in parenting that I hold with the same importance and nothing that I pray and beg God for than my kids salvation. But, I think it is of the utmost importance to remember that salvation rests only and always with Jesus. My greatest victories as a parent cannot save my kids and my greatest failures cannot ruin them. Salvation rests only and always with Jesus. That being said, I think it is Biblical and God-intended for us to raise our children in a way that they know in their heads and grow in their hearts the truth of God's word. That we teach them and train them according to what the Bible, God's perfect word, tells us is THE truth. 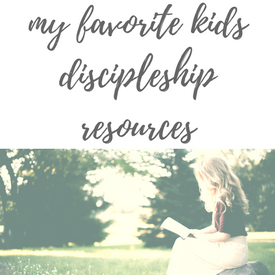 Through the years, both as a mom and as a former children's director, I have gathered some of my favorite resources to help in the discipleship process with our kids. I hope they help you as you walk this journey with your own babies! Baby Blessings Bible - I like this Bible for babies up to age 2. It was recommended to me this past year by a friend who gave it to Archer as a gift, and I'm sad I didn't know about it before. It's padded and durable, and while it is more of a "story" book, every story in it points back to Jesus. The Big Picture Story Bible - This Bible is my favorite for 2,3,and 4 years olds. The pictures are big and beautiful. The language is easy to understand and captivating and it asks good questions. And again, every story points to Jesus. The Jesus Storybook Bible - This is my all- time favorite Bible for children. I think you can use it with any age but probably the best fit is 5 years+ . The whole point of this Bible, every single part of it is to point back to Jesus being our rescuer and redeemer. Every part. If you don't own this Bible, you need to. Maps - If you want to teach your kids about how much bigger the world is than just our little western bubble, if you want them to be mission-minded, if you want them to love ALL people no matter their skin color or where they are from, you have to SHOW them. We have maps all over our house because I want our kids to be curious. I want my kids to ask questions. I want them to see how tiny of a dot our location is on the map compared to the rest of the world. And when I tell them that God SO LOVED the world, I want them to see what that really means. It doesn't take anything fancy. You can print off free world maps from the internet. You can find maps online geared towards kids. You can find wall maps like the one I have in our playroom. It doesn't matter which kind, you can find something to fit your needs and budget. This book is a resource full of other resources. I have yet to make my way through the whole thing, but it is absolutely worth the cost of it. This is a brand new resource published by the WMU and I can't wait to get it for myself. 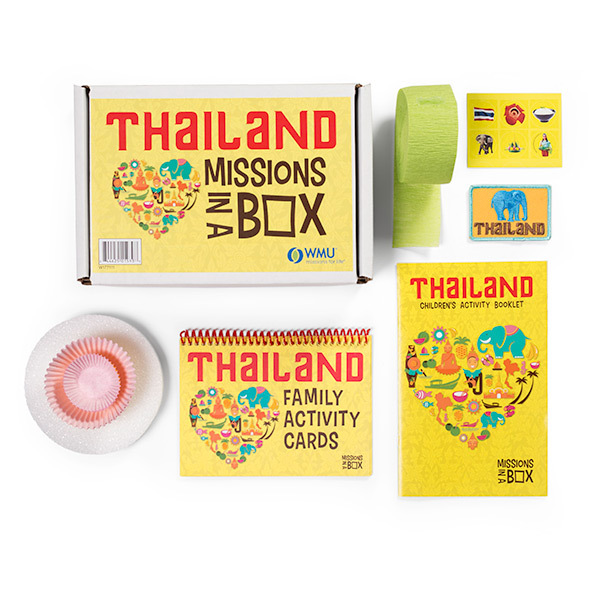 I actually had a very similar idea for a missions curriculum and was so excited to see this out on the market. Seeds Family Worship - This is straight scripture in fun kids' songs. Also, it's not annoying. It's catchy and is sometimes good for the Mama heart too. Hide 'Em In Your Heart - this is my favorite from when I was a kid and I have now passed it on to my own kids. Again, straight scripture and a great way to help your kids memorize verses. My daughter especially loved these songs! See here sing some of them here: LK is hiding them in her heart. Your church is one of the greatest resources you have as a parent, especially if you have an active children's ministry (active meaning more than just nursery). Every week after church, we ask our kids two questions: 1. What did you learn? 2. How can it/does it affect your life. Two, easy-to-remember-questions that can help make the Bible applicable to their life, just over a conversation at Sunday lunch. I HIGHLY encourage you to press in here. Long Story Short/Old Story New - These are 10 minute devotions that are great for Family Worship or great for an older child to work through independently. The Long Story Short is focused on the Old Testament while the Old Story New focuses on the New Testament. They are OFTEN on sale on Kindle for only a couple dollars and sometimes free. Hopefully these resources can help you. My prayer is for you to be encouraged as you faithfully raise your kids in the Lord, and I beg Him to save and rescue our babies!